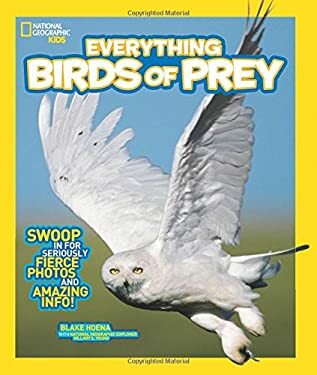 "From eagles to falcons and talons to beaks, Everything Birds of Prey introduces readers to the world's most ferocious fliers. With stunning visuals and energetic, impactful design, readers won't stop until they've learned everything there is to know about birds of prey. Story Locale: worldwide Series Overview: The National Geographic Kids Everything series breathes new life into the fun reference category with a fresh and dynamic presentation of the nonfiction subjects kids are most passionate about. Packed with facts and tantalizing anecdotes from real experts and bursting with photographs, these lively books give kids a fun way to absorb everything they want to know about a subject, whether they are driven by passion or curiosity."